Registrations close on 21 February! This is likely to be the last year of the current study design. Is this the first time you are teaching VCE German? Have you only been teaching VCE German for 1 to 3 years? Are you a Language Assistant supporting VCE German classes? 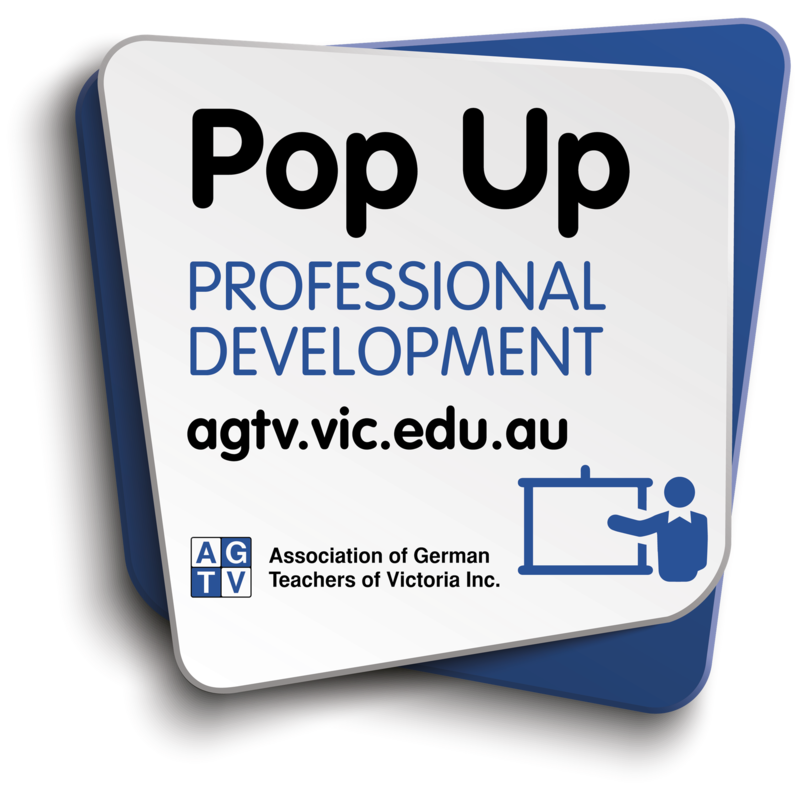 If you answer 'Yes' to one of these questions, then come along to the AGTV Pop Up PD to learn about teaching VCE German and to ask your questions. This PD is offered to current individual members of the AGTV only. NB: This PD refers to the current study design accredited to 2018. If unable to access the individual rate, you may need to renew your membership for 2018 by finalising payment. If you are a member, you need not apply again. Take out membership to access this learning opportunity and other PD for teachers during the year at individual member rates. Individual members receive notifications direct to their mailbox about PDs, events, notices, resource tips and employment opportunities.